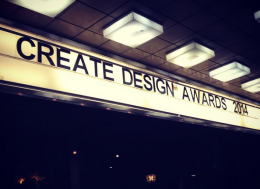 What a night: The 10th Annual Create Design Awards Gala! It might have been the energy of the 400+ crowd, the fast-talking MC wit of our host Marc Fennell, or the fantastical plaster-cast surrounds of Melbourne’s iconic Forum, but whatever it was, last night — the 10th annual Create Design Awards gala — was a spectacular night! 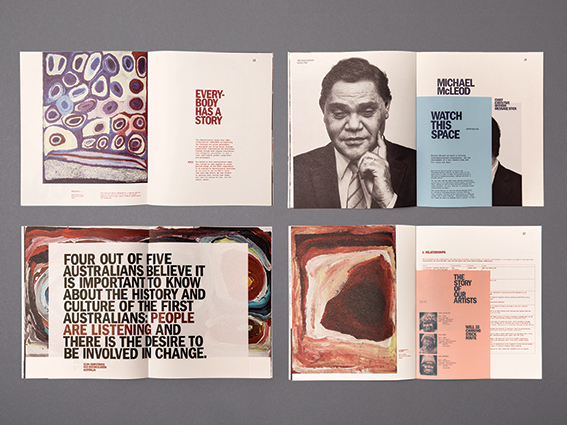 Shillington student Sinead Murphy took out the Emerging Talent award. She travelled a long way to be at the awards, currently based interstate. The judges were impressed with the breadth and tailored application of the work in her portfolio. You can see more of her work here. The finalists were James Silvestro and Maria Quintana. 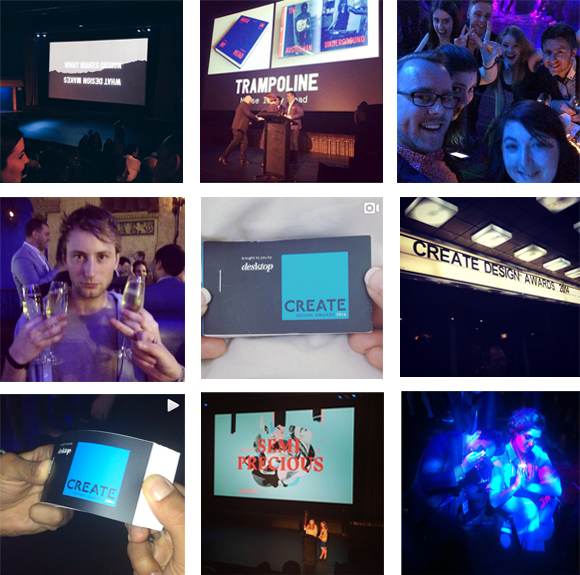 The emerging talent category was proudly sponsored by Shillington. 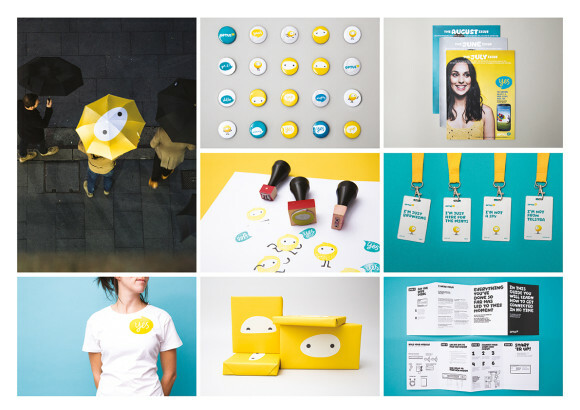 RE: Sydney took out the category accolade with their mind-bogglingly comprehensive rebrand of Optus. The finalists were: Grosz Co. Lab, with their Dawn to Dawn project, Pennant’s branding for the 2014 Pause Fest, and Swear Words’s identity and branding of The Good Fish. The Branding & Identity category was proudly sponsored by Impact Digital. The winner of the illustration category was The Distillery, who took out the award for their self-initiated series, Frontiers. 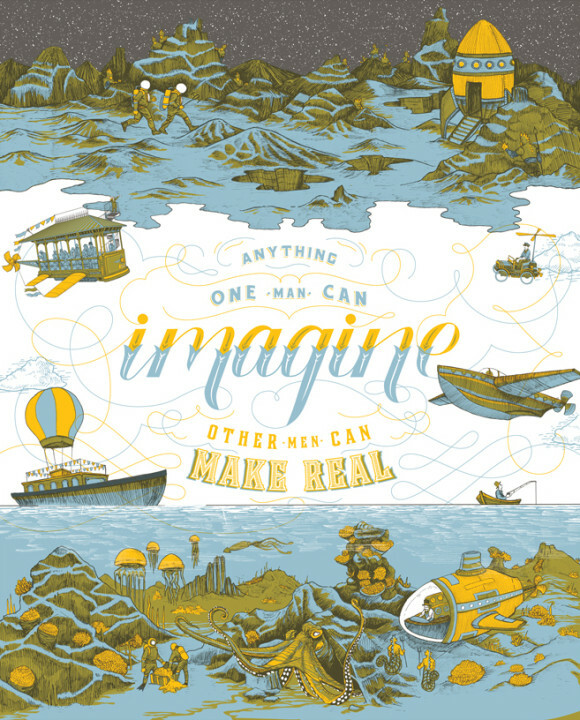 The finalists were John Debono-Cullen, with his vast and various illustration work for Pack of Heroes, and Thoughts Come True, with their illustrations for Samsung. The Illustration category was proudly sponsored by Wacom. The winner of the Interactive category was Eness, who were awarded for their beautiful installation Creation Cinema for the Melbourne Museum. The finalists were Two Bulls, with their work on Grover’s Block Party for Sesame Workshop, and Designworks, for their Hundreds and Thousands installation for The Benevolent Society. Pause Fest organisers, Uncut Agency, took out the award on behalf of their collaboration with Spanish studio Vascolo, for their psychedelic animation for the 2014 Pause Fest. The finalists were two other excellent projects, with Mighty Nice’s TVC for Embarrassing Bodies Down Under (which is worth a watch or two, if you feel like a laugh) and Clear Design’s TVC for the Wominjeka / First Peoples Exhibition (also worth a watch if you feel like something emotionally stirring). 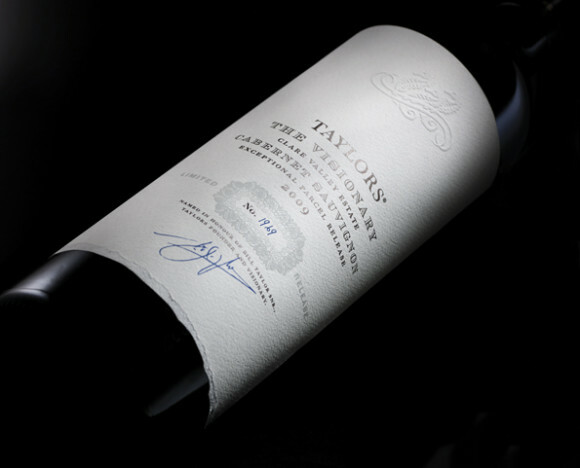 The Packing award was taken out by The Collective, on their highly-specialised label and box presentation for Taylors ‘The Visionary’ limited release bottle of wine. The finalists were Catherine Peacock’s labels for Jingers Creek and Wondermint’s work for the Vodka O Premix. The Packaging category was proudly sponsored by BJ Ball Papers. 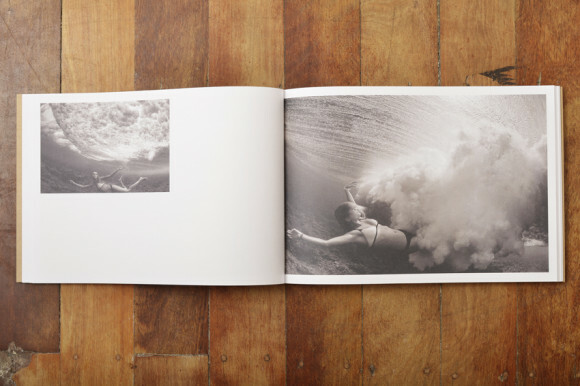 The Photography award went to Trent Mitchell, for his stirring, self-initiated photographic project, Above/Below. He accepted the award on behalf of the ‘love jobs’ that he feels are necessary to everyday creative practice. The finalist was Sark Studio, and the 20+ photographers they worked with on the beautiful The Human Environment project. The winner of the Print Commercial category was a surprise this year — with two equal winners taking out the awards (don’t worry, they didn’t have to share the trophy!) 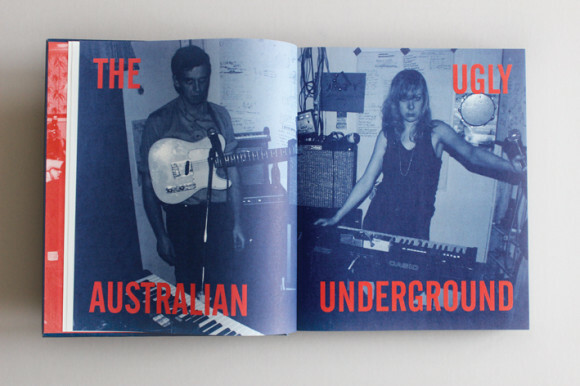 The first went to RE: Sydney, their second award for the night, for their incredible print work for the IAG Reconciliation Plan, and the second award to Trampoline for their work on Noise In My Head, a book focussing on the bands of Australia’s ‘ugly’ underground. The finalist was ACMI design, with the in-house job their team did on their 2012-2013 Year in Review document. What a cover! Print Commercial was proudly sponsored by K.W.Doggett. 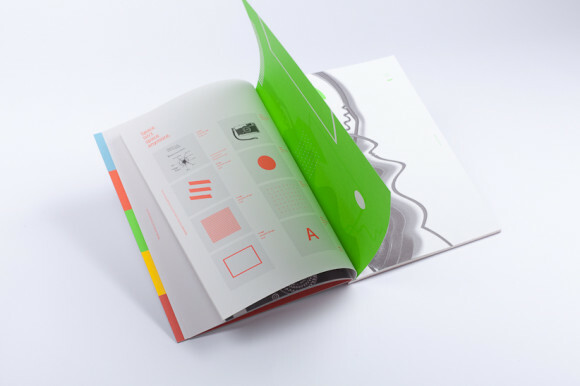 The winner of the Print Creative category went to Sydney’s Nowhere Famous, who were awarded for their creative take on Google’s open brief for a print publication that took on the idea of ‘creating online’. 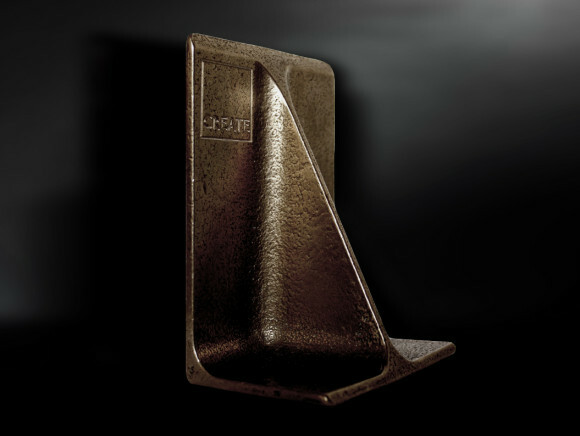 Despite technically having a commercial brief, the freedom openness of the client expectations, and the creative expansion of the project the studio delivered, made it a forerunner for the Creative category. The finalist was Old School Press and their self-initiated Belly of The Beast publication. The winner of Signage & Display went to Buro North, and their work for University of Tasmania. 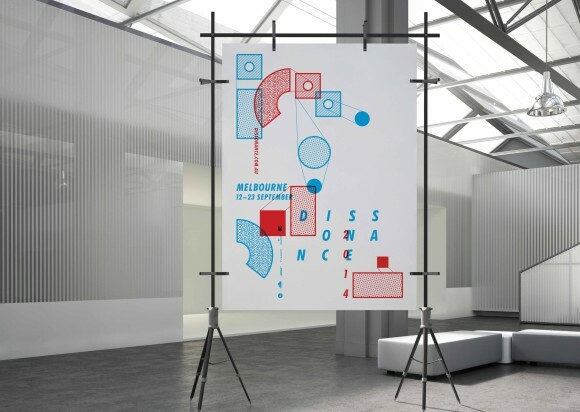 The studio was also a finalist for the work for The Strand, Melbourne, along with the work of Thi Nguyen for Semi-Permanent, and Studio Equator for White’s Dispensary. The Signage & Display category was proudly sponsored by Spicers. The Typography award was taken out by The Distillery, on their second award for the night. 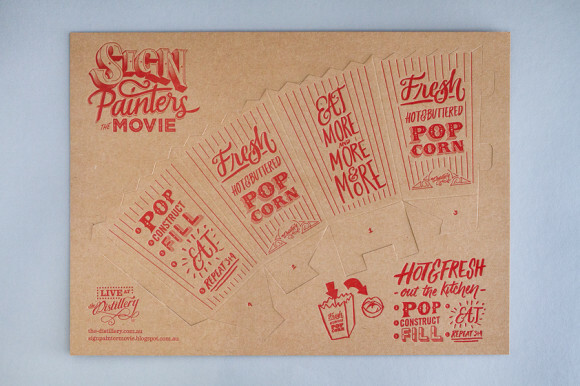 The studio designed and letter-pressed poop-out popcorn boxes and a flipbook for the Australian premiere of Sign-Painters: The Movie last year. The finalists were Joshua McCormack and his Tractatus Logico-Philophicus piece, and Studio Equator for Bluetrain. The Typography category was proudly sponsored by LEP Colour Printers. The penultimate award of the night for web design went to Big Fish, and their work for the Queensland Ballet website. The finalists were TinyHunter’s work of the NSW Ministry of Health Play Safe website, and Reactive’s work on the relaunched AGDA website. The pinnacle award of the night is chosen from the winners of each category. 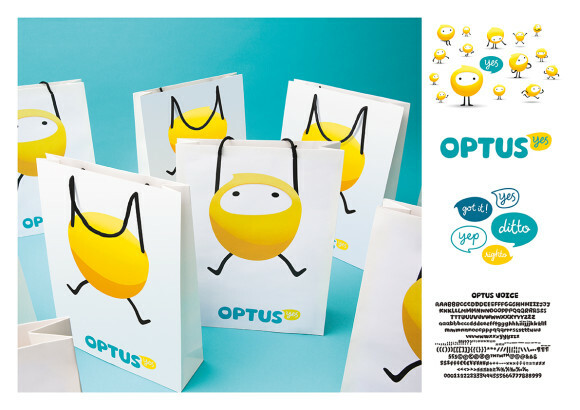 This year, the award went to RE: Sydney, for their incredible work for Optus. The award was presented by 2014 Create Awards judge Andrew Ashton, who stressed what an achievement the project was, when working across a national telecommunications company that required so much management, deliverables and performance. We would like to extend our thanks to everyone who came to the party last night — as we tread lightly around the office this morning, dusty and tender-headed, we can’t help but reflect on what a great time it was, and how amazing the general enthusiasm for Australian design was. Thanks for an evening to remember, guys!